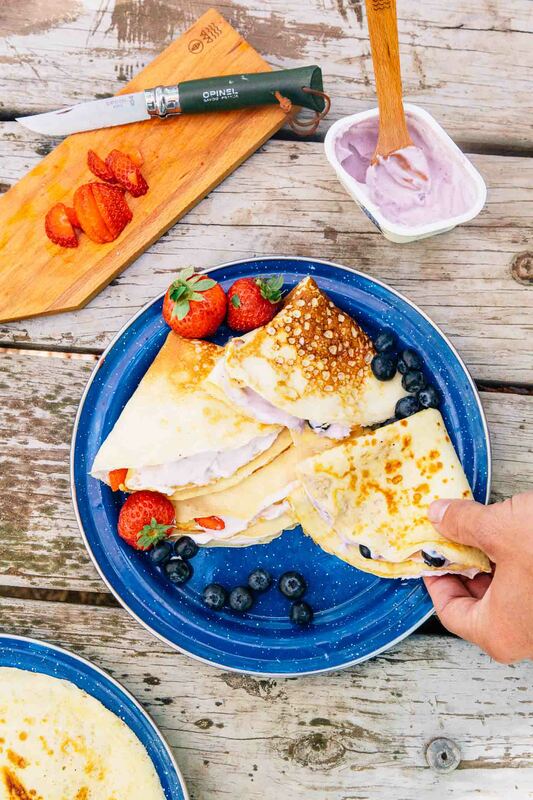 These thin, crepe-like pancakes – called pönnukökur – are a beloved staple of Iceland and are often served throughout the day – for breakfast, tea time, or dessert. 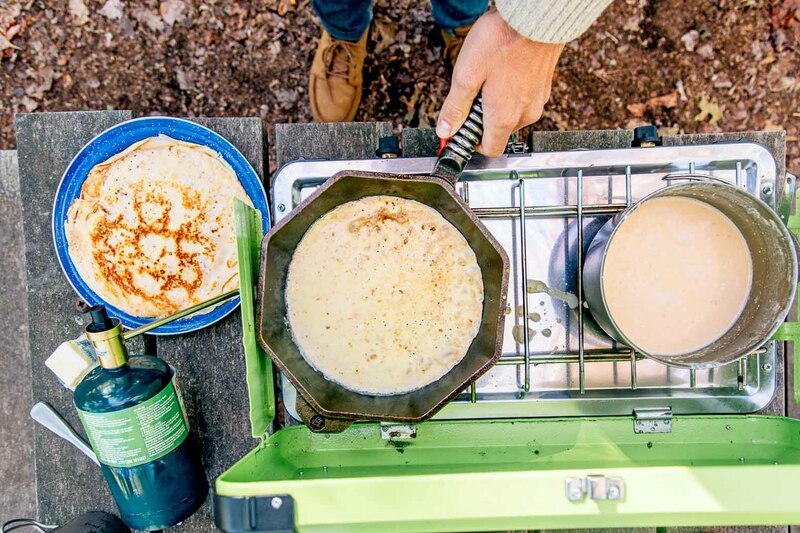 But would pönnukökur make for a good camping breakfast? We made a batch the other day and the answer is an emphatic já! We haven’t had the chance to visit Iceland yet, but we’ve long been captivated by images of the country’s stunning landscape: black volcanic beaches, rolling green pastures, and deep blue glaciers. While we’ve seen many awe-inspiring places in North America, over there, it seems like nature and fantasy have blended together in perfect harmony. So when we were contacted about working with the Iceland-based food company, we were intrigued, to say the least. Icelandic Provisions is a producer of another one of Iceland’s favorite foods: skyr (pronounced: skeer) a cultured dairy product that is unique to Iceland. Not quite a yogurt and not quite a cheese, skyr is made using heirloom dairy cultures that have existed on the island nation for centuries. It’s similar in texture to Greek Yogurt, but instead of a strong tangy afterbite, skyr has a smooth creamy finish. 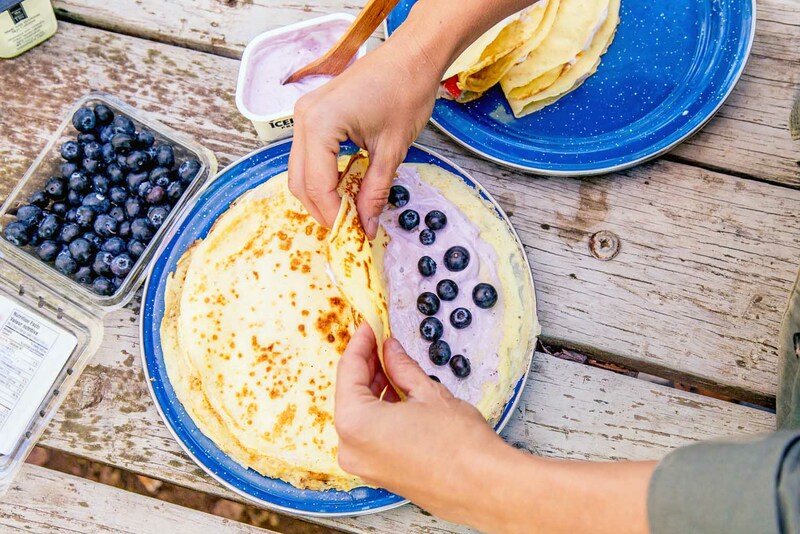 We wanted to create an Icelandic take on a classic American camping dish and discovered pönnukökur – a traditional Icelandic pancake similar to a crepe. They are usually served with jam or whipped cream, but we opted to fill them with some of Icelandic Provision’s berry flavored skyr to make them more suitable for breakfast. 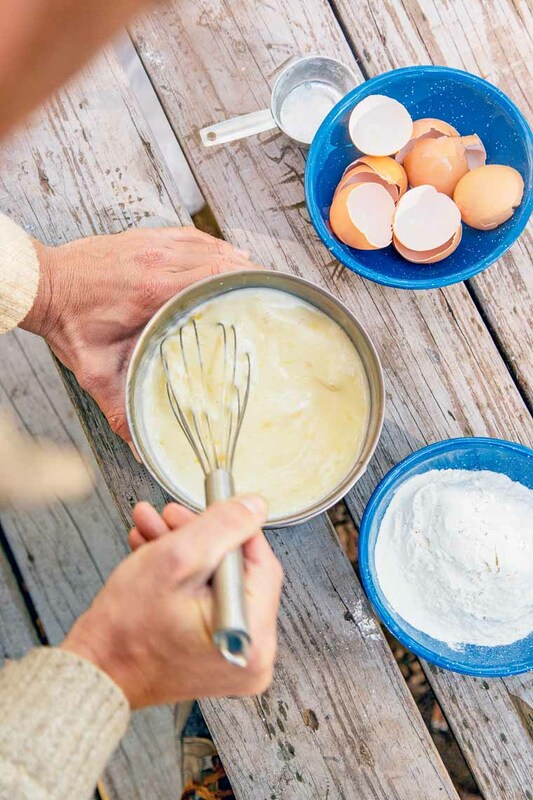 For this pönnukökur recipe, we adapted a version from The Nordic Cookbook, an encyclopedic and beautifully photographed resource of Nordic cuisine. 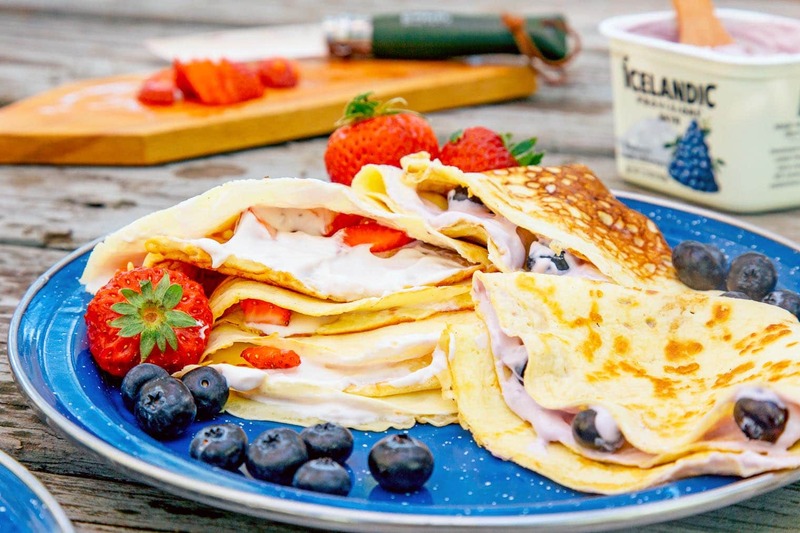 Unlike thick American pancakes, which are designed to sop up as much maple syrup as possible, Icelandic pancakes are much thinner and better suited for wrapping up delicious fillings. We won’t venture to say which is better, but pönnukökur does offer a few advantages at a campsite. 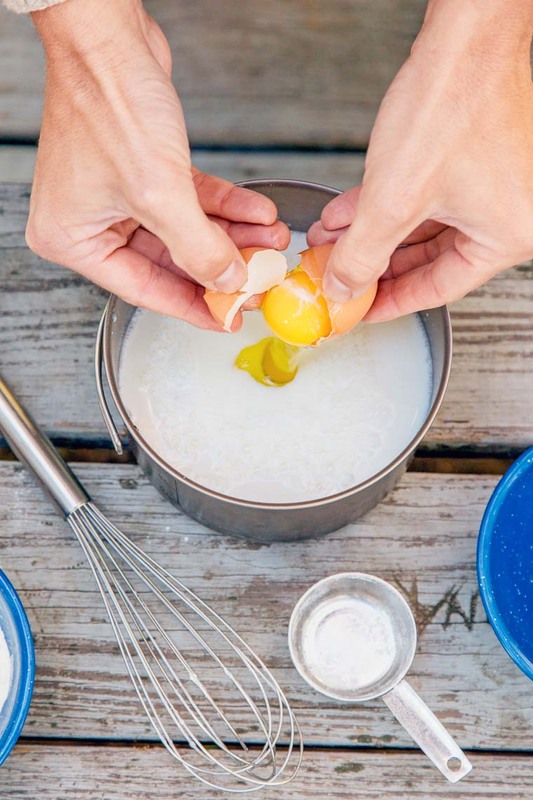 To start, the batter uses a lot of eggs, so instead of just a short stack of carbs in the morning, you’re actually getting some fuel for the rest of the day. (We stuffed ours with skyr, which is also loaded with protein.) Since the pancakes are so thin, they cook really fast. Once we got our skillet hot, we were cranking out a pancake every minute. 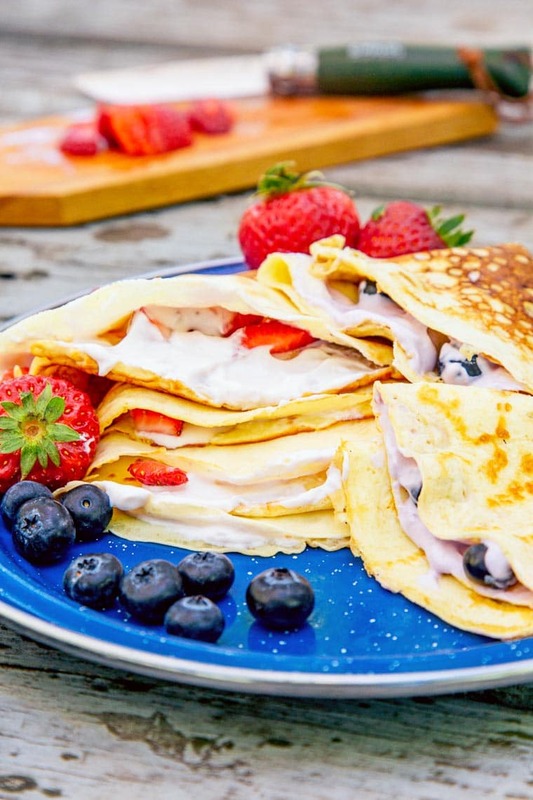 And because the Icelandic pancake is used as more of a wrap, the whole thing can be eaten in hand, meaning fewer dishes to clean up in the morning. We used Icelandic Provisions’ strawberry with lingonberry and blueberry with bilberry flavored skyrs with our pönnukökur and chopped up some fresh fruit to go along with it. 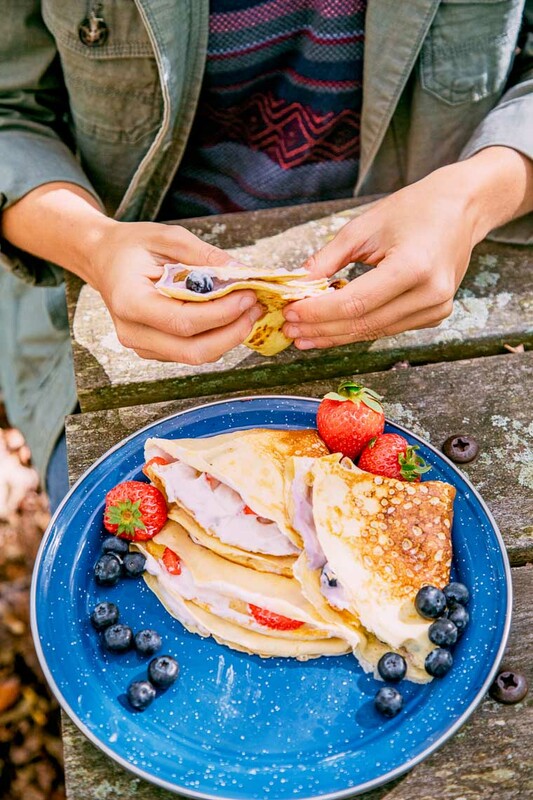 Taking a bite of one of these skyr filled pancakes on a cool sweater-weather morning might be as close as we’re going to get to Iceland for the foreseeable future. But thanks to Icelandic Provisions & the FeedFeed, you might be able to make a trip out there yourself! To celebrate their product’s launch in the United States, Icelandic Provisions is hosting a giveaway for a trip to Iceland (including airfare!) for two. Just click over to the FeedFeed to see how to enter. Side note: We get approached all the time by companies to promote contests for them. Occasionally we agree, but most of the time we turn them down. That’s because most of the time we don’t feel they offer any real value to you, our readers. While free coupons and sample product are nice, that’s not really what this website is about. But a free trip to Iceland for two? That’s a legit prize. 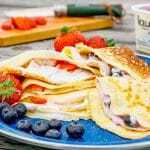 Pönnukökur is an Icelandic pancake, similar to a crepe. They are great for filling with skyr, fruit, or jam, and are high in protein, making them a filling breakfast food! This post was sponsored by Icelandic Provisions & FeedFeed. As always, thank you for supporting the brands that support Fresh Off the Grid!